On August 27, 1928, fifteen nations signed the pact at Paris. Signatories included France, the United States, the United Kingdom, Ireland, Canada, Australia, New Zealand, South Africa, India, Belgium, Poland, Czechoslovakia, Germany, Italy and Japan. Later, an additional forty-seven nations followed suit, so the pact was eventually signed by most of the established nations in the world. The U.S. Senate ratified the agreement by a vote of 85–1, though it did so only after making reservations to note that U.S. participation did not limit its right to self-defense or require it to act against signatories breaking the agreement. The first major test of the pact came just a few years later in 1931, when the Mukden Incident led to the Japanese invasion of Manchuria. Though Japan had signed the pact, the combination of the worldwide depression and a limited desire to go to war to preserve China prevented the League of Nations or the United States from taking any action to enforce it. Further threats to the Peace Agreement also came from fellow signatories Germany, Austria and Italy. It soon became clear that there was no way to enforce the pact or sanction those who broke it; it also never fully defined what constituted “self-defense,” so there were many ways around its terms. 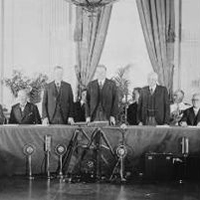 In the end, the Kellogg-Briand Pact did little to prevent World War II or any of the conflicts that followed. Its legacy remains as a statement of the idealism expressed by advocates for peace in the interwar period. 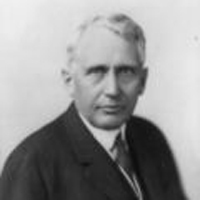 Frank Kellogg earned the Nobel Peace Prize in 1929 for his work on the Peace Pact.